Timing, as the saying goes, is everything, and there are few better examples of that than in the crossover market. Back in the 1970s, a small French company called Matra teamed up with Simca to build the Rancho – a jacked-up, front-wheel-drive hatchback that was styled to ape the super-desirable Range Rover’s off-road image. At the time the Rancho wasn’t especially popular, but a brief look at the SUV market now suggests it was merely too far ahead of its time. Such an accusation, however, cannot be aimed at the Nissan Qashqai, which timed its arrival to perfection. Although the exterior has changed little, there are some obvious upgrades inside. Since hitting the market in 2007 it has become a roaring success. A massive 2.3 million examples have been sold, and in 2017 it was the fourth most popular car in Britain. Now, fresh from celebrating the car’s tenth anniversary, Nissan has launched a new version which it claims is the best incarnation yet. Eagle-eyed readers will notice that the new car looks similar to the old one, and they’d be right, but there’s a good reason for that. Anxious not to ruin the car’s appeal by fixing things that weren’t broken, Nissan has been careful with its modifications, making tweaks and adjustments rather than wholesale changes. Although the exterior has changed little, there are some obvious upgrades inside. For a kick-off, our test car came in the new top-of-the-line Tekna+ trim level which provides a Bose stereo tuned specifically to the Qashqai’s acoustics and some quilted leather upholstery that looks remarkably similar to the watch-strap option found on DS cars. 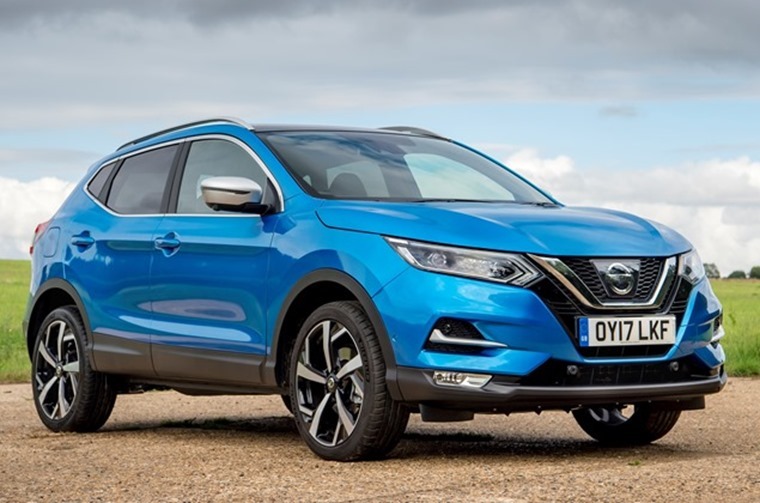 The new Qashqai’s oily bits have been subjected to similarly subtle upgrades, with Nissan making minor adjustments to the existing setup. All models also benefit from a new cockpit. The old infotainment system has been updated to make it a little more intuitive and the there’s now a sporty-looking D-shaped steering wheel with an almost bewildering array of buttons. The biggest improvement though is the quality of the materials used. The dashboard and front door cards use softer plastics while the switchgear is more tactile too. Happily these changes have not been made at the expense of practicality. Because Nissan hasn’t tampered with the car’s dimensions, the 430-litre boot space has remained, and there is still reasonable rear head- and leg-room. 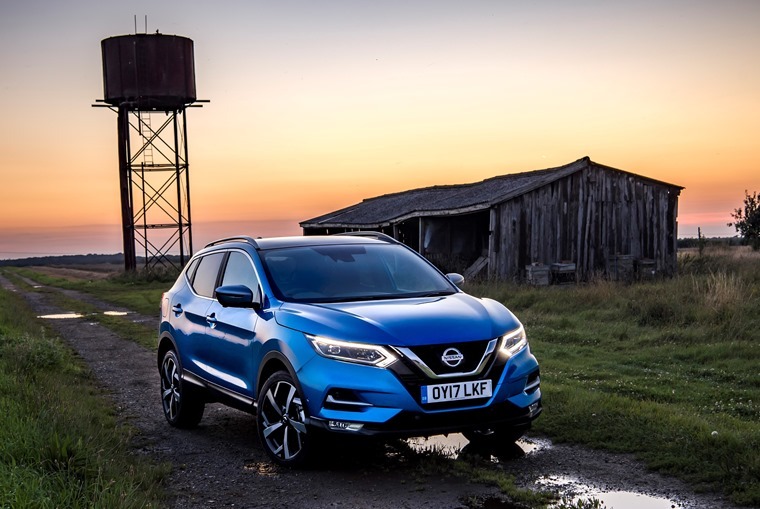 The new Qashqai’s oily bits have been subjected to similarly subtle upgrades, with Nissan making minor adjustments to the existing setup. The suspension has been changed, making the car more comfortable but no more susceptible to body roll, while the steering has also been modified to become a tad heavier. 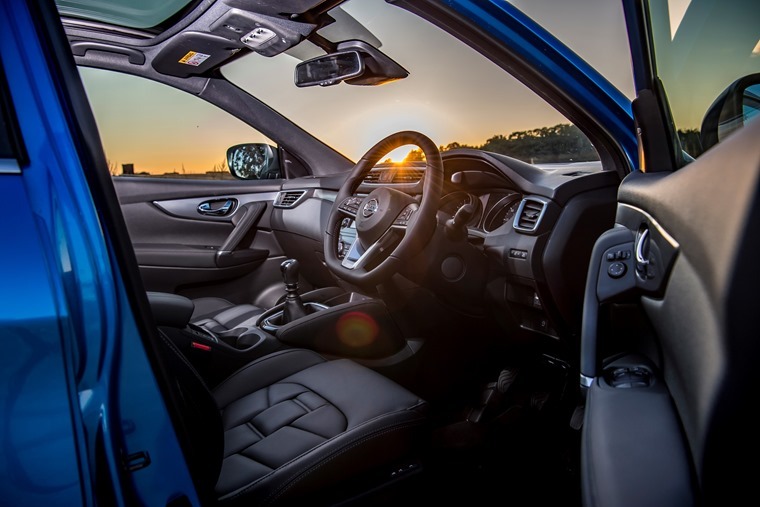 The result is a car that still feels a little too inert for keen drivers but offers a stable and secure platform for those who just want to get from A to B. Although the engine range is largely unchanged – retaining its wallet-friendly 1.5-litre diesel and 1.2-litre petrol options, as well as the 1.6-litre petrol with a little more get-up-and-go – Nissan has seen fit to modify the top-spec 1.6-litre diesel engine. Increased soundproofing and small mechanical tweaks means the 128bhp unit is now impressively refined, becoming gruff and grumbly only when pushed. 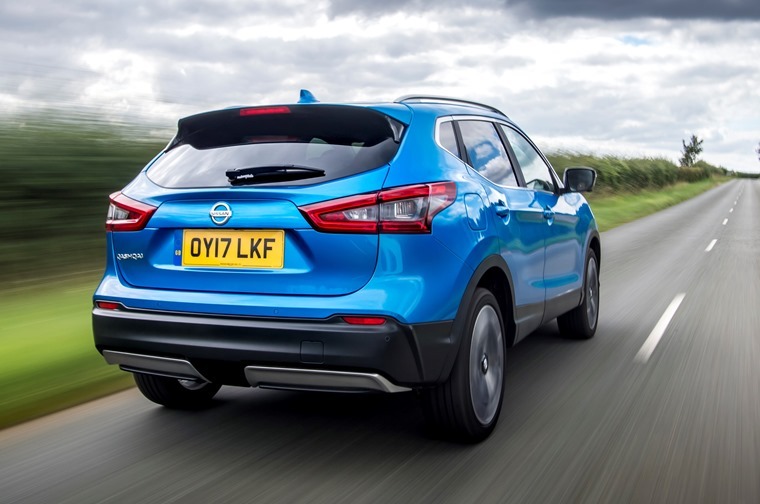 ... A car that’s good value and as practical as ever, reminding everyone why the Qashqai has remained at the top of the class for the last decade. That engine is undoubtedly a compelling proposition, boasting a 0-62mph time of around 10 seconds and 64mpg economy, as well as newfound refinement. The clincher may well be that it offers the most diverse range of options though. Not only is it available with a CVT automatic transmission, but it is also the only engine that gives customers the choice of four-wheel drive. It’s an expensive choice, with top-spec automatic versions costing more than £32,500 before you so much as look at the options list, but if you want to spend less you can choose much more modest engine-and-trim combinations. For example, the entry-level Visia model with the 1.2-litre petrol engine comes with air conditioning, Bluetooth, cruise control and a £19,295 price tag. From there, the range climbs through the oddly named Acenta, N-Connecta and Tekna grades, adding goodies such as satellite navigation and an excellent 360-degree parking camera along the way. This culminates in the aforementioned Tekna+ trim, which starts at £27,830. The best balance is in the middle somewhere, foregoing the all-wheel-drive and dropping a spec level or two. 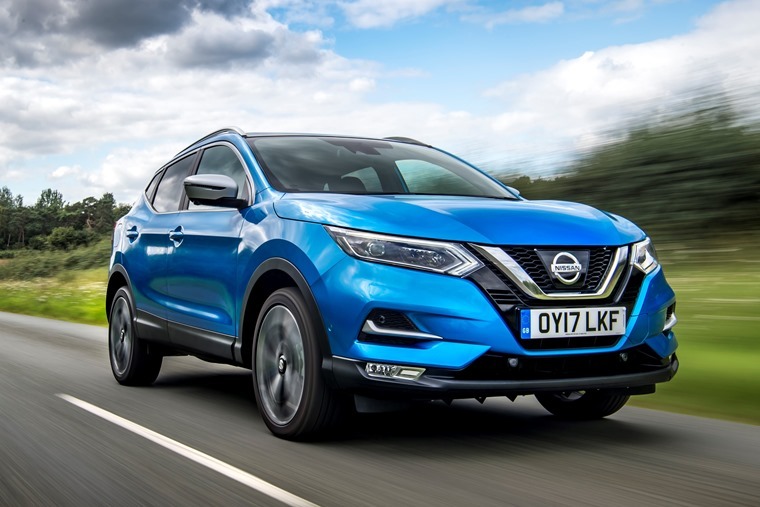 In that sweet spot lessees can find a car that’s good value and as practical as ever, reminding everyone why the Qashqai has remained at the top of the class for the last decade.